Clear all jellies bring and reach 25000 points to complete the level. This level have normal difficulty and the right part of the candy board have 18 jellies under black blocker that you need to break. For this level you need to play with striped candy with taking care of the Odus owl and you could use some special combos like striped candy with colorbomb to clear jellies more fast. You shouldn’t use wrapped candy or break colorbomb with normal unless you have chance to unbalance the owl. 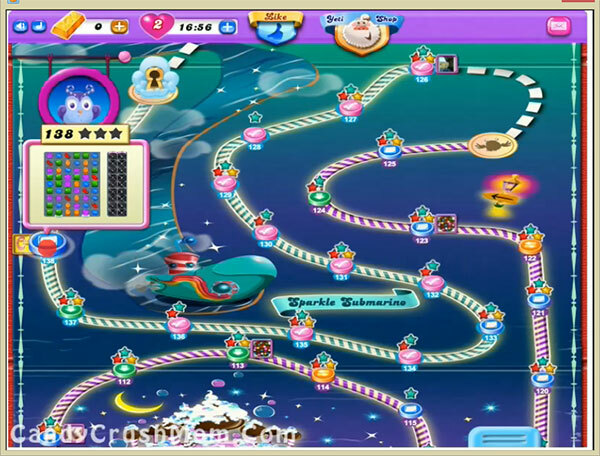 We completed this level with 187360 score by using special combos like colorbomb with striped candy that help to complete level and get three star score at the end.